BrokerSumo gives you the ability to create custom task lists for managing your transactions and close out process. To begin creating custom task lists, go to Settings > Task Lists and click Add New List. You can assign a task list to an office as well as to a transaction type. Enter the task list details and then click Add Item to begin creating the list of tasks. 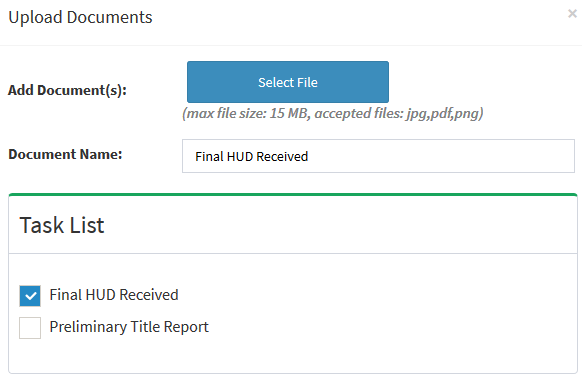 If the item you are adding relates to a document you want uploaded into BrokerSumo then check the Document checkbox. This will only allow this item to be checked off the list when you are uploading a document. You can add a task list to a new transaction or to an existing transaction. You'll notice that the two items greyed out are document items. 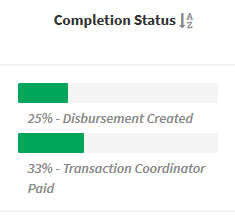 Once added to a transaction you'll see the list and a progress bar showing you the completion status. 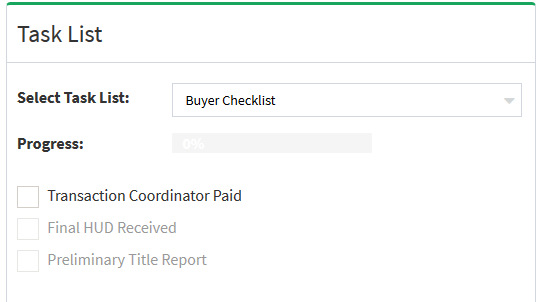 You'll also see a completion bar on the main view transaction page, under the default BrokerSumo task list. You can give your agent's access to complete task lists by going to Settings > Permissions and turn on that agent permission.